Killing Mister Watson, Lost Man’s River, and Bone by Bone—Peter Matthiessen’s great American epic about Everglades sugar planter and notorious outlaw E. J. Watson on the wild Florida frontier at the turn of the twentieth century—were originally conceived as one vast, mysterious novel. Now, in this bold new rendering, Matthiessen has marvelously distilled a monumental work while deepening the insights and motivations of his characters with brilliant rewriting throughout. 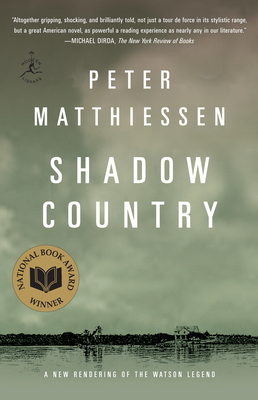 Peter Matthiessen has written eight novels, including At Play in the Fields of the Lord (nominated for the National Book Award) and Far Tortuga, and also a book of short stories, On the River Styx. His parallel career as a naturalist and environmental activist has produced numerous acclaimed works of nonfiction, most of them serialized in The New Yorker; these include The Tree Where Man Was Born (another National Book Award nominee) and The Snow Leopard (a National Book Award winner). He was elected to the American Academy of Arts and Letters in 1974.